N. Food eaten between meals (a light meal). We’re not talking about your significant lover here… I’m talking about the small food items that we consume alongside our daily meals; the treats that keeps us going during the day! I know that I am a fan of snacks; living an active lifestyle AS WELL as training for marathon after marathon, I try to intake extra calories with certain foods in between meals. Now, I’m not saying that we should always snack on everything, there is such thing as having too much, HOWEVER, many of us live busy lifestyles… Which can mean missed meals, lack of nutrition and fatigue. It is so incredibly important to keep your body in check; ESPECIALLY when in training. If you imagine your body as a fire, you need to keep that fire burning hot. Keep throwing in that coal to make the fire greater and much more powerful than it was before. If the fire burns out… The body will suffer. On a day-to-day basis, I try to carry fruit, nuts and even the odd bar of chocolate (naughty me!) BUT bringing the same old snacks in can be a bit of a bore. Not to mention, visiting your local supermarket can get quite expensive. 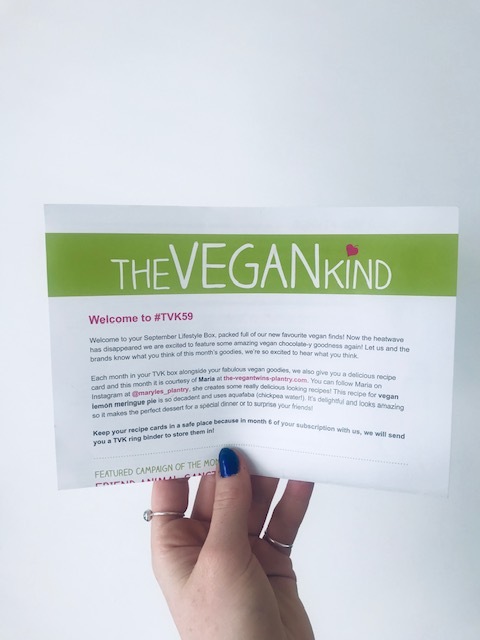 I recently came across The Vegan Kind. 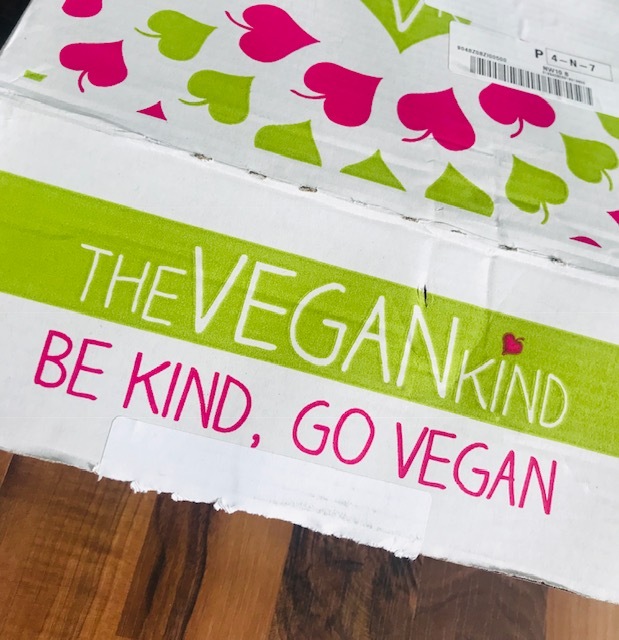 You may have seen a few subscription boxes around, but this one is full of vegan-based goodies! 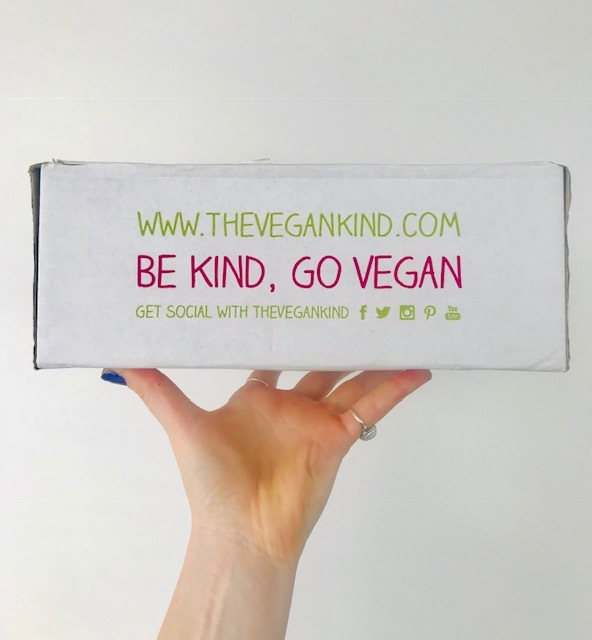 ALL products are certified vegan, so for all those shoppers that are worried about picking up the wrong plant-based products, this box is just for you! The lifestyle box contains mainly food products, although there are a few other surprises! Subscription box number 59 (the one I had first received) also featured Green Frog Botanic Soap-nuts. What are they? These organic, sustainably grown ‘soapberries’ are for your laundry. So if you suffer from skin allergies, or simply just want a planet friendly product that cleans your clothing THEN THIS is the brand to go for. It opened my eyes to something new! Within your monthly package, you will also find a welcome letter which explains what is in your box. All brands are explained in full with their social media attached. The RRP is also on there (in case you wanted to buy a specific item again!) so you can visit their online store and purchase separately. PLUS the company have a selected campaign brief, which means a small donation (from the box subscription) goes towards the charity. This time it was for FRIEND, a farm animal sanctuary. Each month is a different charity! Signing up is easy; you pick which subscription box and plan you’d like and it is delivered straight to your door! You won’t have to make those trips to the shop anymore when you’re feeling peckish. Grab and go! 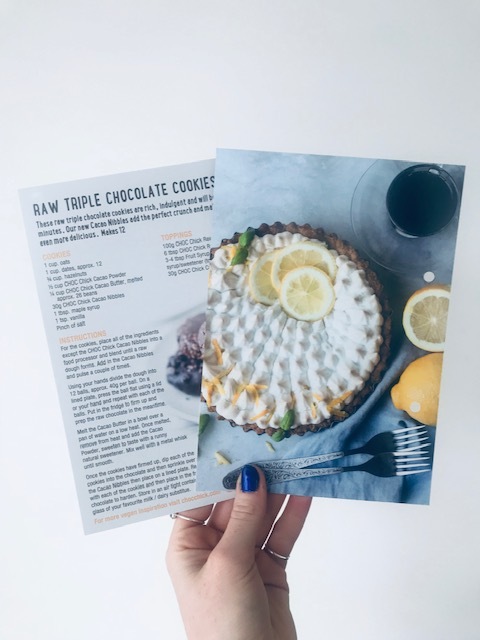 Also included within the box, are some fancy recipe cards, which can be kept in a ring binder (which comes with your sixth subscription box!) So you can make your own vegan delights at home. Interested in getting your own snack pack? 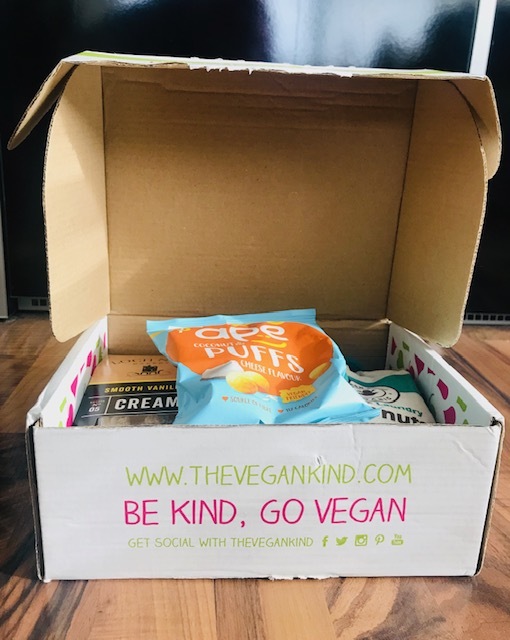 Grab the next Vegan Kind box HERE! If the lifestyle box is not your thang, then there is a vegan beauty box which contains planet friendly products for your beauty regime! Take a look at their website for more details. A special thank you to The Vegan Kind for gifting me one of their boxes, I will be signing up for another one in the near future!